LOCATION, LOCATION, LOCATION..Welcome Home! 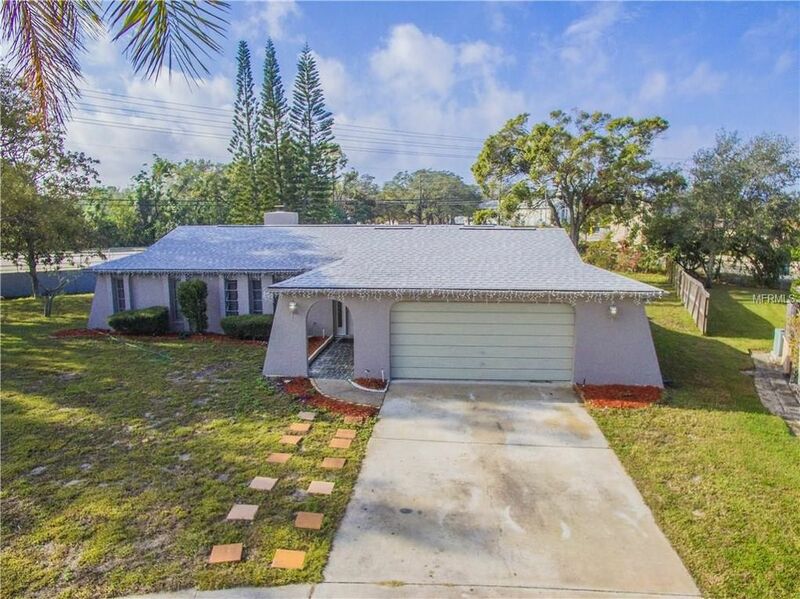 Beautiful renovated/updated POOL home, 3 Bedroom, 2 Bath, and 2 Car Garage offers everything for the way you want to live in desirable Tarpon Springs. This very spacious home offers a split floor plan, formal living room, dining room, generous sized kitchen and large breakfast bar, additional bedrooms are oversized!Step inside the entry and be amazed by the stylish renovations and open floor plan. Updates include: New Roof in 2015, New HVAC 2015, Freshly Painted Interior and Exterior, the Kitchen features New Stainless Appliance Package, and Ceramic Flooring. There is plenty of space for the whole family and ideal for entertaining in the spacious open floor plan, Kitchen features a curved breakfast bar with pantry. Both Bathrooms have been Renovated with modern updates. Home also has a dedicated laundry room. Large enclosed lanai leading out to the inviting pool, brick paver deck. It's a great space to gather and relax and enjoy the privacy of your backyard. No HOA and No Flood Insurance Required. This immaculate home is located in the Oakleaf Village community which is across the street from the famous Innisbrook Golf & Resort, closely bordering Palm Harbor. Fantastic location, minutes from Honeymoon Island, Howard Park Beach and Lake Tarpon, and 10 minutes to the famous Tarpon Springs sponge docks. Conveniently located to the beaches, the Pinellas Trail, St. Petersburg College, hospitals, and shopping. Call today to see this beautiful Move in Ready home!